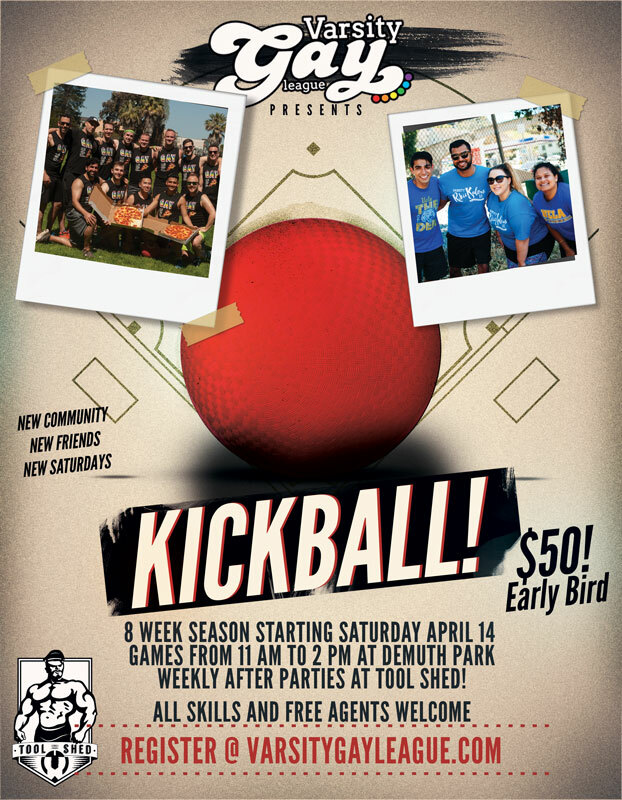 VARSITY GAY LEAGUE has the largest GAY KICKBALL LEAGUE IN CALIFORNIA! JOIN SOLO as a FREE AGENT or with FRIENDS. Build your own team! Everyone is welcome! Simple rules, good fun, and easy location!!!!! Early Bird $50 a player! SPACE IS LIMITED! CREATE YOUR TEAM NOW!!! OR SIGN UP AS AN INDIVIDUAL and get PAIRED UP WITH NEW FRIENDS!!! !